The New Asus Zenfone Max Review - Phone or a Powebank? Home Reviews The New Asus Zenfone Max Review – Phone or a Powebank? The New Asus Zenfone Max Review – Phone or a Powebank? 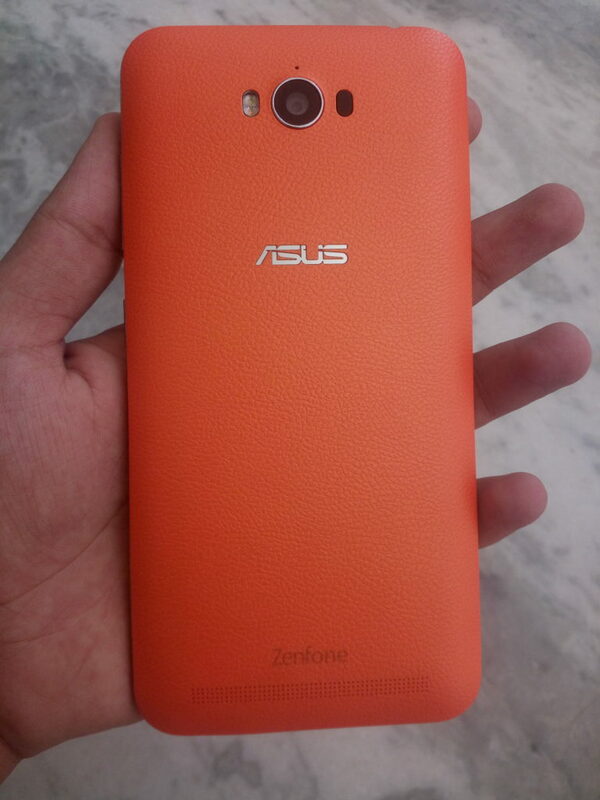 Asus, after revamping its Zenfone Max has launched it again in the market. Zenfone Max was initially launched earlier this year by Asus with two different variants. Asus has now brought its Zenfone Max changing few of its specifications. Earlier, Zenfone Max came with two different variants – 2GB RAM & 32GB storage and 3GB & 32GB storage. The phone was launched with a powerful battery of 5000mAh having extraordinary capabilities. After revamping, few of its specifications have changed while most of them remain the same. The smartphone with monstrous battery is attracting the eye of people who have higher demands from the battery of a smartphone. It can even act as a powerbank and you can use it to refill the battery of your other devices. 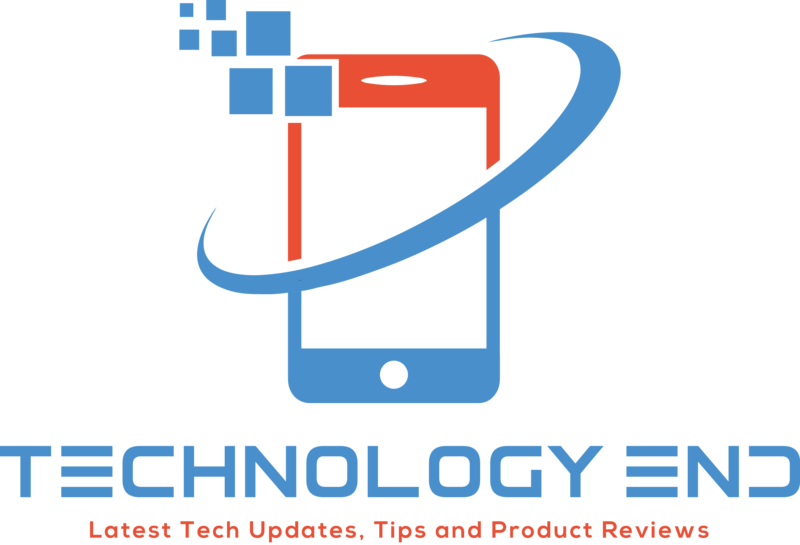 Let us go through Asus Zenfone Max review and unleash its specifications along with newer ones. The revamped Zenfone Max has got almost similar design as compared to its older version which was launched this January. Zenfone Max features a plastic back panel with rubberized back giving it a textured look. If you remove its back panel, you will find the non-removable battery and the access to dual SIM card slots and microSD card. The large battery makes the smartphone little heavy as it weighs 202g. The phone measures 77.5 x 156 x 10.55mm. The rubberized back is responsible for its quality look. The frames are made up of high-quality plastic but appear to be made up of metal on first look. The power and volume rocker buttons lie on the right edge of this smartphone. You will find 3.5mm audio jack on its top edge while its microUSB port rests on the bottom, with a primary mic. The rear camera at the back comes with laser AF module alongside and a secondary mic above it. The display size of the screen has not been changed yet. It still comes with 5.5inches IPS display screen supporting a resolution of 1280 x 720pixels. While using the smartphone indoors, you will be happy with its bright display, but feel disappointed while using it outdoors. 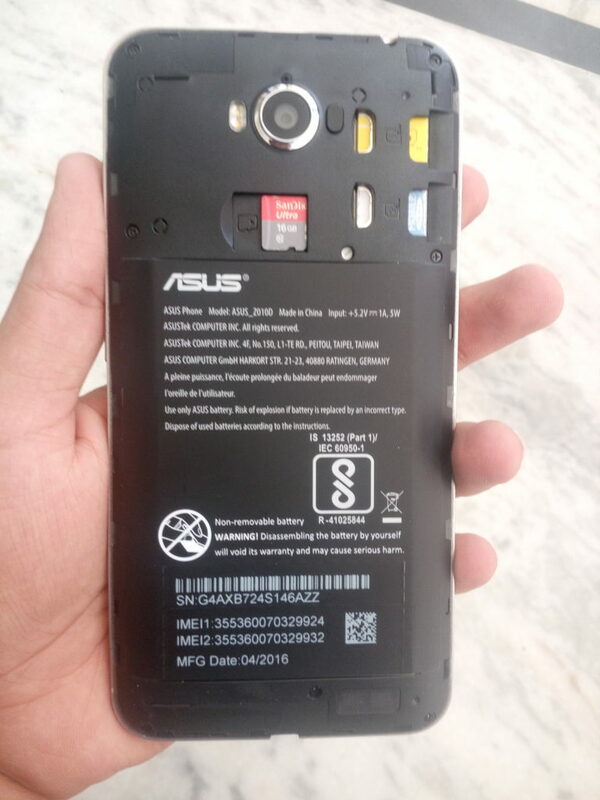 Zenfone Max is backed with 13MP rear camera having laser AF along with dual-tone LED flash. The 5MP front camera will be loved by the crazy selfie lovers. The photos taken from the both the cameras are of good quality, but may disappoint you in low light. Zenfone Max is installed with Marshmallow 6.0.1 and runs on Asus Zen 2.0 UI. The UI supports plenty of touch gestures providing a number of customization features to its users like – changing themes, icons, and different other kinds of stuff. The Snapdragon 615 Octa-Core processor is coupled with a big 2GB or 3GB RAM and also has 32GB internal storage. The bigger RAM makes it easy to handle multi-tasking and the high-graphics games hardly show any lag when played on this device. Though Asus updated the hardware of Zenfone Max in this launch but being an older processor in Snapdragon 600 series, we could not expect too much from it. Multi-tasking is an easy job with this handset due to its bigger RAM. Zenfone Max comes with 32GB internal storage memory for both 2GB and 3GB RAM variants. The memory can be enhanced to 64GB by adding a memory card. It also comes with Wi-Fi, Bluetooth 4.0, 3G & 4G LTE bands, and GPS GLONASS. One of the pure delights while buying this smartphone is its monstrous battery. The 5000mAh huge battery offers 30-days standby time while you can easily run this phone for about 3 days under normal usage after charging the battery to 100%. The battery takes about 3 hours to charge from 0-100% because of its big size. You can even use this battery as powerbank. You can easily charge different devices through its battery. The device is available at Rs. 9999 INR in the Indian market and is available in different online stores. Asus Zenfone Max is one of the budget smartphones that is a must buy device for the people looking for a low budget smartphone with great battery and other specs are not bad either. The Asus lovers will surely love this device.